Michael Bradley scored his first goal since the 2016 season and added another in the second half for his first career multi-goal Major League Soccer game as visiting Toronto FC opened the season with a 3-1 victory over the Philadelphia Union on Saturday. 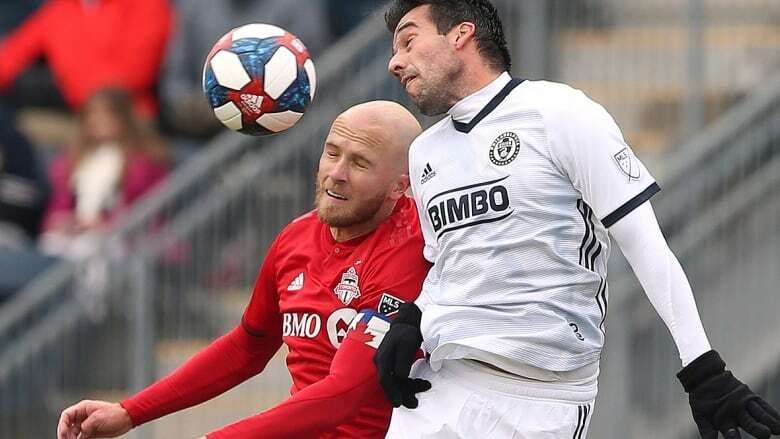 Michael Bradley scored his first goal since the 2016 season and added another in the second half for his first career multi-goal MLS game as Toronto FC opened the season with a 3-1 victory over the Philadelphia Union on Saturday. "Outstanding. He covered a ton of ground, knows when to get forward and when to defend," said Toronto FC head coach Greg Vanney. "He was in the right spot at the right time on both occasions. A lot of times he ends up getting stuck deep, but with Marky [Delgado] now back he can release and get himself in goal scoring positions. It's not something we expect of him but he's fully capable." "[DeLeon] has been fantastic since he arrived. I can't think of a better guy he is all about the team," said Bradley. "Such a good way in terms of immersing himself to the team and on the field. A very good player who you can use in many ways. He is mobile, a good footballer and I can't say enough about him."